When your claim is being processed, your medical providers are contacted directly by Social Security or the State Disability Determination Services. When you apply for Social Security Disability Insurance (SSDI) or Supplemental Security Income (SSI), you need to supply information about your medical treatment and where your records are but you do not need to obtain medical records. 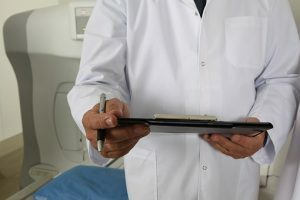 When your claim is being processed, your medical providers are contacted directly by Social Security or the State Disability Determination Services. The Social Security Administration has a system called Electronic Records Express which allows authorized people (doctors, hospitals, clinics, schools, attorneys, etc…) to electronically submit records that are relevant to your case. These electronically transferred records are immediately associated with your case and are accessible by the Social Security Administration and Disability Determination Services. 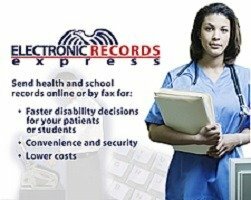 More information about Electronic Records Express is available at https://www.socialsecurity.gov/ere/. 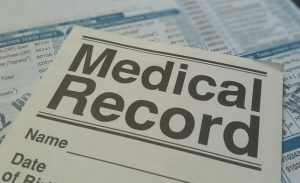 Medical records are critical to the success of your disability claim. Your medical records need to be detailed and up to date. Make sure that you are seeing your doctor regularly. Many disability applications are denied because of outdated medical records. If you get denied Social Security Disability benefits, make an appointment for a free consultation with a disability attorney right away. A good disability attorney or non-attorney representative can greatly increase your chances of being awarded Social Security Disability benefits.